TACTIKI is a brand new, innovative two-player board game from Székelyland, based on strategy and memory, rather than the rolling of dice. The game represents the battle between a Polynesian Sun God, “TAC” and his eternal rival, “TIKI“, the God of Rain, and at the end of the game only one of them can be victorious. 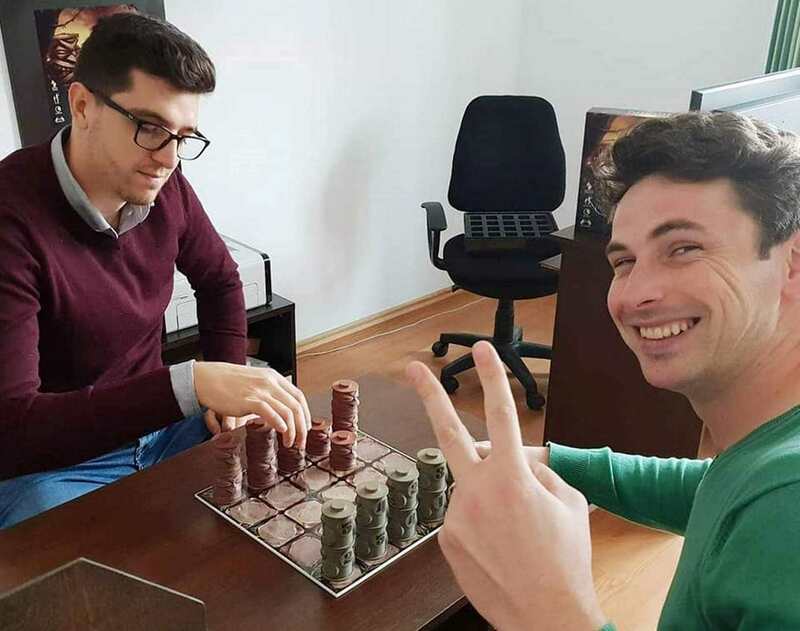 Gábor Incze from Gyergyószentmiklós/Gheorgheni came up with the idea of the game back in 2015, and after four years of hard work the time of the product launch has finally arrived. The prototypes are already produced, and the game can be ordered worldwide from 5. February via Kickstarter.com, a web page helping creators finding the needed resources and support to bring their ideas into reality. „I already had the main idea in my head, that the game would take place on a game board with 25 squares arranged in a 5×5 grid, and also that both players will have 10-10 alike figures while only knowing the power of their own figures. But the question for me was that, what should the figures look like? 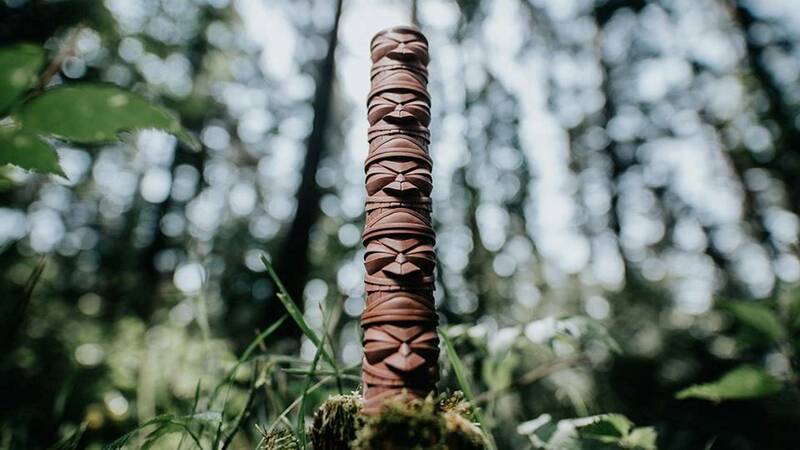 I didn’t want to use simple geometric figures, so instead I was browsing on the Internet for ideas, until I found there some Polynesian Tiki statues, representing the gods of the different tribes. The indigenous people of these islands used to put the statues on the top of each other, forming towers out of them, which was a perfect match for my concept, and so I discovered the needed background story for the game.” – summarized Gábor Incze. After finishing the first prototype of the game in 2017, the focus went to numerous marketing connected preparations which had to be done before the official product launch. This was the time for example to make some 3D presentation videos -explaining how the game actually works- and to create of course a web page, and different social media profiles (on Facebook and Instagram etc.) Then the game was also sent to professional American board game reviewers, whose board game related videos on YouTube have hundreds of thousands views, meaning that their opinion is really important. A lot of people actually decide to purchase or not the particular board games, based on these videos. According to their feedback, reviewers fortunately liked TACTIKI, meaning their review videos about it -to be released in the forthcoming days- will be positive, and hopefully will help to boost the pre-orders. The board game will be available for 49 USD from the 5. February and about 1500 orders are expected during the first 30 days. People placing their orders during this first month, will be the first ones around the globe to receive the TACTIKI board game. Every penny of the collected money from these sells, will be then reinvested into the venture, into which Gábor and Botond already invested 10 000 Dollars, not even counting the value of their own work. The player who is first to finish building his five piece statue on one of the opponent´s starting fields, wins the game! Gábor and Botond firmly believe in the success of their game and have a roadmap for the future of the game. After the launch at Kickstarter, they plan to introduce TACTIKI to as many toy distributors worldwide as possible. They are planning to participate at international fairs, like the world’s most prestigious gaming expo, the Spiel Messe in Essen, Germany. While the first edition of TACTIKI is produced with an English rulebook, later it will be available in seven different languages, including Hungarian and Romanian. They have in mind, among others a Székely version of the game as well, where the Székely lad will have to fight with the bear. They also would like introduce the game into the world of smart phones as well and they are already in discussion with a developer. This, however, needs a significantly larger investment (around $100,000).